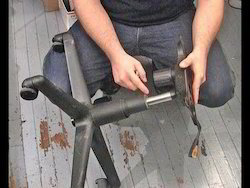 We offer Chair Repairing Services to our clients. Banking on the needs of our customers, we have been engrossed in delivering Chair Repairing Services. In order to fulfill the varying needs of our patrons in the best possible manner, we spend some time with our patrons to understand their requisites and needs. Also, our patrons can avail these services from us at most reasonable costs.